10 Great Reasons – Why RSG Security Grilles? 1. 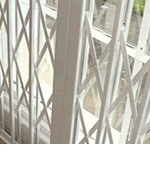 RSG security grilles are manufactured, powder coated, supplied and delivered directly from our factory to your doors. 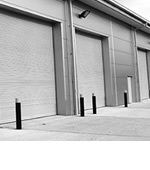 By coming to us direct, you are guaranteed a quality, robust, effective and easy to fit product, but most importantly, a low cost security solution. 2. Compared to products from other manufacturers, our security grilles are about 30% heavier. This is due to the fact that we use a high quality grade of steel in our production. 3. RSG Security is one of the few suppliers of both types of diamond and curved lattice concertina grilles. 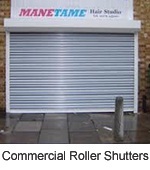 In addition to our retractable grilles, we offer a cost effective range of fixed mesh grilles. 4. Powder coated as standard to provide a high quality and long-lasting finish, our collapsible grilles are virtually maintenance free. 5. 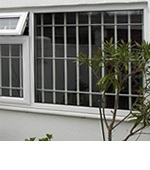 RSG security grilles are designed and manufactured with a DIY concept to ensure simple and fast installation. With independently fixed stacks, our grilles are manufactured to accommodate both reveal and/or face fittings. To make it even more convenient, our team has put together a detailed fitting guide which is provided with all purchases. 6. A common issue with most competitors’ products is wide stacks when the grille is in an open position. 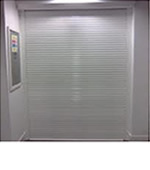 Here at RSG Security, our security grilles are engineered without the requirement of side tracks which allow our RSG1000 retractable grilles to be easily stacked out of sight. The collapsible grilles can be easily hidden behind curtains which makes them aesthetically pleasing, to suit the style of your homes. 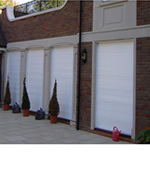 The slim designed stacks also provide the benefit of maximising light through any openings. 7. The lattice and corners of a security grille are normally considered as the weak points of this product. RSG1000 retractable security grilles however are engineered with a saw resistant ‘w’ lattice section (instead of flat steel plates) and unique corner security fixings, which makes them stand out from the competition. 8. 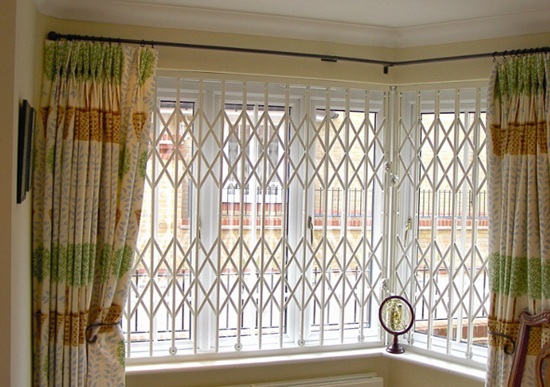 With a combination of secure locking (7-Pin Tubular Push Locks as standard, upgrade available as hook lock or 3-point multi-hook locks, both with euro cylinders) and a heavy duty metal strip, known as ‘Anti-Jemmy Strip’, our security grilles are a well-equipped to provide a strong barrier between your property and the intruder. 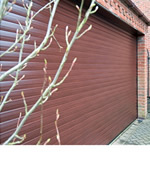 All our locks can be keyed to provide the benefit of having one master key system. 9. Many manufacturers cut corners and get away without incorporating a wheel system within their products. All RSG folding grilles are designed and manufactured with built-in wheels internally to ensure the grilles move easily and swiftly. This also provides the advantage of scratch resistant tracks to avoid rust and therefore reduces the need for maintenance. 10. To cope with different usage, our concertina grilles are packed with a range of options to provide ease of access for all types of objects (buggies, trolleys, wheel-chair users, etc). Options such as lift-out/lift-up bottom tracks, a swivel out system, padlock integration and much more are available on request. To obtain a security grille quote, you can work it out yourself by using our online quote calculators , email us (sales@rsg-security.co.uk), speak to our team on 0208 123 1088 or get in touch through our website’s contact forms.